Richard Smith and Sam Murphy, Sb, A5, 216pp, includes many tables and 76 illustrations. 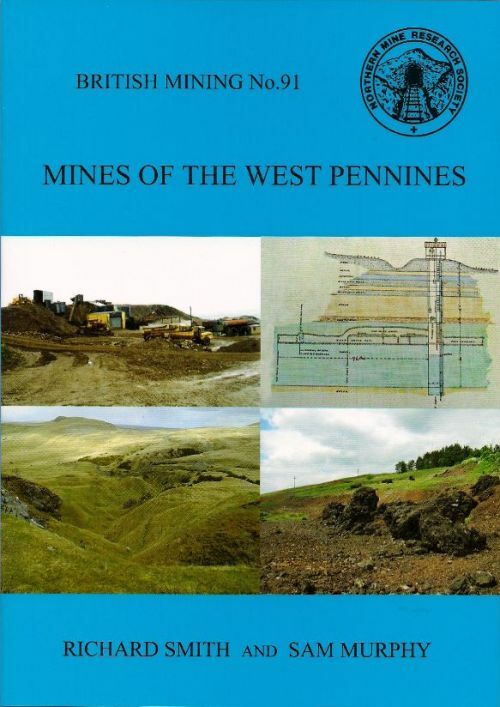 This monograph is the result of over 15 years research by the authors and covers the mines of the West Pennine escarpment from its northernmost extremity at Tindale Fell to Mallerstang and Garsdale in the south. The main subjects are the lead mines, although some iron and coal mines are mentioned briefly. The monograph contains mine plans and histories of the major mines at Cross Fell, Silverband, Dun Fell, Knock, Dufton, Netherhearth, Hardshins, Birkdale, Murton, Hilton, Long Fell, Stainmore, Brough, Hartley, Ravenstonedale and Mallerstang together with information on smaller mines and trials. A separate section deals with the smelting mills.